Sometimes it feels like we barely get to embrace summer in the UK before the pumpkin spiced lattes, scarves and cosy jumpers are out. And as much as we try to cling onto our skirts and flip-flops, the brisk winds and changing colours are a sure sign that it’s time to prepare our minds and bodies for winter. Below are our 5 steps to gently transition into the autumn season. Autumn is the season that embodies Vata – dry, airy and brittle. It’s all too easy to let these seasonal changes affect us; it can be external with symptoms such as dry skin, or internally with moods such as anxiety and stress. It’s important to balance your doshas, particularly when seasons shift. You may feel particularly affected by the autumnal weather if you are prone to Vata tendencies. Unsure whether your dosha is Vata, Pitta or Kapha? Take a look at our blog to find out what dosha you are here. Ayurveda is great for balancing your doshas, regardless of the season. We recommend these ayurvedic techniques for Autumn. 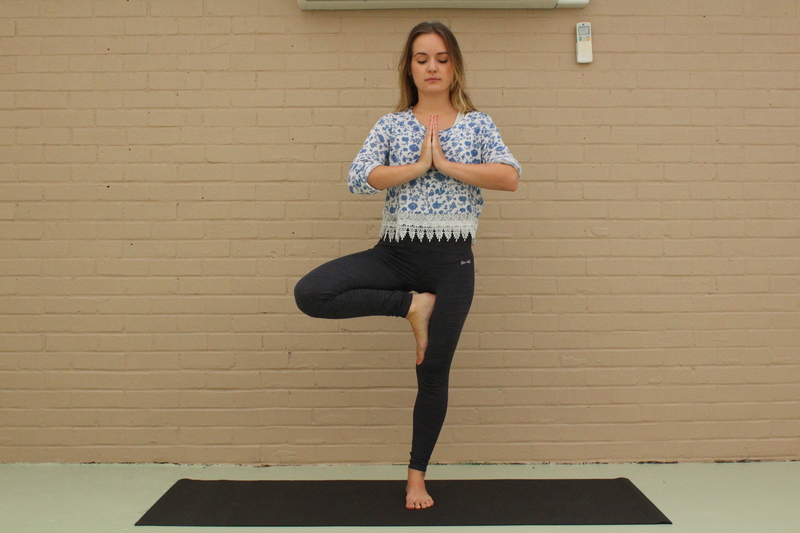 Tree Pose – This pose is ideal for grounding and balancing; a win-win situation! You can incorporate some pranayama into this pose to bring calm and balance to the mind also. Standing Forward Fold – Folds are great for bringing your energies back into yourself. They’re also incredibly calming; you can just let yourself go in this pose. Child’s Pose – This is another pose that is perfect for helping you feel grounded and balanced. Make sure you rest your forehead onto the mat to relax your Ajna Chakra (third eye). 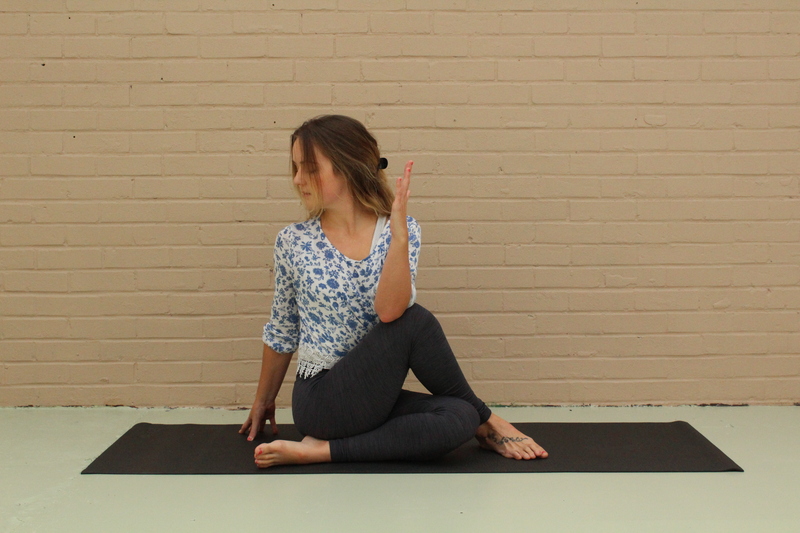 Seated Forward Fold – Similar to the standing forward fold, but with less balancing properties and more grounding ones. You can also put a bolster on top of your legs to rest your torso on for extra relaxation in this pose. It can be done with one leg bent (for a more intense hamstring stretch) or both legs straight. Half Lord of the Fishes Pose – This simple twist is not only great for giving your internal organs and massage, it’s also great for keeping you warm. Perfect for chillier months. Doing this can help keep anxieties at bay. Whether you just focus on meditating for ten minutes every morning or going to bed at the same time each night, you can help calm the worries that accompany Vata simply by establishing a regular daily pattern. Root vegetables, stews, soups, porridge, broths…all sounds so good, doesn’t it? It’s so important to eat well in this season, to prepare your body for the winter challenges ahead. Make sure your recipes are nourishing and warming with plenty of spices and grounding vegetables, like our minestrone soup recipe. Try to avoid astringent and raw foods. You heard it! It’s time to conserve your energy, bringing peace and balance within. Meditate more, read more, rest more. Energy is easily depleted in the colder months (especially when you catch that dreaded cold), so if you live an active lifestyle, ensure you are eating more warming foods to make up for this lost energy. Follow these five steps for a smoother transition into the autumn months. Your mind and body will thank you for it!